Just like any organization operating on a large, yet tight budget, hospitals and medical centers are constantly looking for ways to more efficiently manage their capital expenditure (CAPEX). 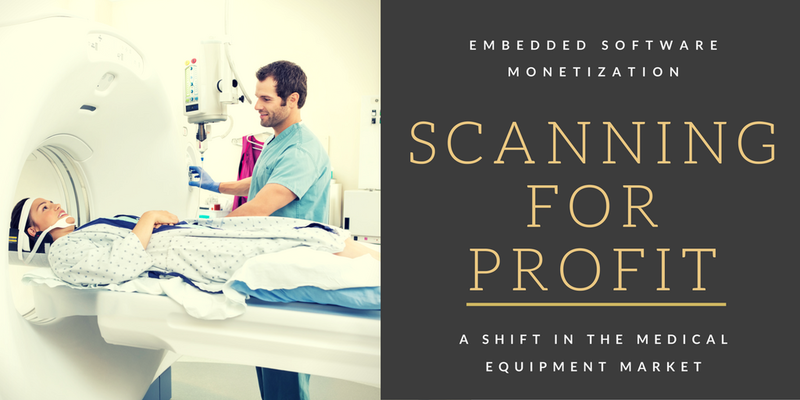 Given that medical equipment often forms a large part of this expenditure, it’s not surprising that embedded device manufacturers are under increasing pressure to find innovative new ways to meet customer demand. The problem is that most manufacturers today lack the automated mechanisms required to efficiently track and report on product usage data. By adopting a software monetization solution for their embedded software, manufacturers are able to shift from selling products to selling services, and offer flexible business models such as Pay-Per-Use or Pay-Per-Procedure. This alternative method to traditional up-front purchasing helps their customers – the hospitals and medical centers – overcome their budgetary constraints and reduce capital expenditure. Of course, such a business model transition represents a significant market opportunity for embedded device manufacturers. Because purchase decisions are increasingly being made by those holding the purse strings rather than physicians and clinicians, the usual conversations about features and benefits take a backseat to conversations about money. This could be a game changer when it comes to shifting relative market share between competitors. For more on this topic, please read my interview with Kathleen, in which we discuss everything you need know about flexible business models and design-to-value engineering. If you’d still like to find out more, we have a webinar coming up on September 28 that I highly recommend attending.